What does the Repressed Feminine mean and how does it harm women? There’s a lot of talk about feminine energy and its power to create happier and more fulfilling lives. At the same time, many women (and men) feel confused; they don’t really get what “The Feminine” means and most have no idea whether their feminine essence is repressed. My guest today on the Resurrecting Venus Show (Thurs, 2pm PST at HayHouseRadio.com) is Melanie Brown. Melanie has a Master’s Degree in Counseling Depth Psychology and wrote a thesis called, “The Feminine in Exile: The Journey to Reclaim and Integrate the Feminine Archetype.” She joins us today to demystify The Feminine and to help you connect with and embrace your feminine essence. We’ll explore the symptoms of the Repressed Feminine. 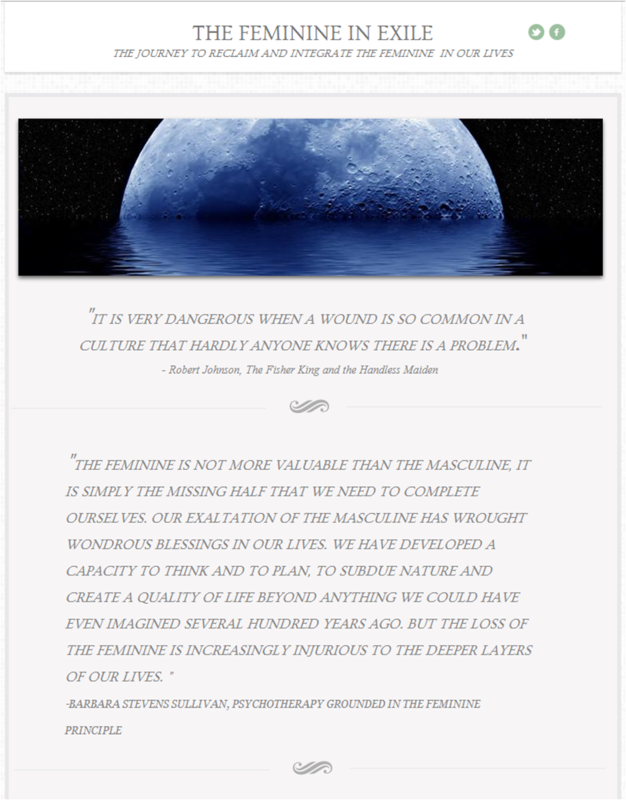 Melanie will explain how healing the Repressed Feminine has nothing to do with male bashing or feeling like a victim.